If you read that outloud, it rhymes. Just sayin’. Login using your same ol’ same ol’ Google log-in. Add your site with the complete url. Click Admin. Select the property you want to track. Check that the URL at the top matches the one for your website. Click the Tracking Info tab. You’ll see something similar to the code snippet below, where XXXXX-Y indicates the property ID. Turn on the tracking options you want, then click Save. Copy and paste it into your web page, just before the closing </head> tag. If your website uses templates to generate pages, enter it just before the closing </head> tag in the file that contains the <head> section. (Most websites re-use one file for common content, so it’s likely that you won’t have to place the code snippet on every single page of your website.) More information here. Once I did this, it took a little while for the code to start working. You should soon see stats and scans happening for your website. If not, check the code again. **PLUGIN alternative – Google Analytics Plugin seems to do this all for you automatically! PLEASE NOTE: If you use a plugin to install Analytics, this will add it’s own tracking Analytics head tag. This means if you already have a manual code installed on your site, this will DUPLICATE your stats. Beware to not have more than one code running! This is a super fun site to play around with. You will see your site’s stats and graphs. It automatically stores your stats so you can see your most traffic, most traffic sources, Audience, Content, etc. I am not going to explain all these now. But, a good explanation of all the crazy jargon is here – for your learning pleasure :). Don’t Track YOUR Visits to Your OWN Site! So, I HATE it when my stats reflect the million times I visit my site. Kind of skews my stats :). Here is how to fix that: Click Admin in the top right hand corner. Click All Web Site Data for your site. Click Filters and New Filter. Create a new filter using “Predefined Filter”. Set it up so you “Exclude Traffic From the IP Addresses that are Equal To…” then enter your IP address. Save and presto! No more tracking you! Don’t know your IP address? 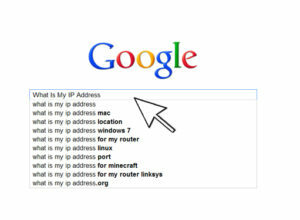 Google “What is my IP address” and it will show up. Make sure your do this for all the computers you work with! These are my favorite things ever. My favorite sites for these are Econsultancy and Online Media Masters. Both of these sites list several AWESOME dashboards that you can just click on and they INSTANTLY download to your Google Analytics and immediately track tons of awesome stuff. My favorite dashboards are the Real-Time Dashboard, Blogger Dashboard, Social Media Dasboard, and SEO Dashboard. Seriously. They are awesome! Looking for a dashboard JUST FOR BLOGGERS? Check out this one I made that lets you track stats, pageviews, top pages, and earnings with just ONE click! Check out my tutorial for tracking your SPONSORS using Google Analytics. If you use Passionfruit Ads, this is perfect for you! See my tutorial here. Congrats on getting through this whole post! If you get held up on one step, definitely leave a comment and I’ll try to help out. Have fun! « Don’t Know What’s for Dinner? The answer is the beloved Panani.